Are Humidifiers Good For Asthma? | If Used Correctly - Find Out More. Are Humidifiers Good For Asthma? As anybody who suffers from asthma knows, it’s important to be able to manage and relieve the symptoms. A chronic disease, asthma disrupts breathing by inflaming the interior of the airways to the point where they can become swollen and painful. As a result, the airways become more sensitive and are prone to reacting whenever the sufferer inhales irritants. Should that happen, the airways narrow, leading to a decrease in air that’s actually reaching the lungs. This in turn causes wheezing, coughing, tightness in the chest, and difficulty breathing. Because this is such a serious medical issue, it’s imperative that asthma sufferers are breathing air at home that won’t make their ailment worse. For many people, the search to find solutions for asthmatic symptoms often leads to this question: are humidifiers good for asthma? Common belief dictates that they are; however, that doesn’t mean there aren’t any drawbacks. If you or someone in your family suffers from asthma, don’t rush out to buy a humidifier until you’ve read through all the relevant facts. Does Increased Moisture in the Air Help? People usually buy a humidifier as a way to counter dry air in their home or to make breathing easier for people who are sick with an illness that affects their respiratory system. As the staff at the Mayo Clinic explain, air that’s too dry can also have a negative impact on people with asthma, as it irritates the airways and can lead to the appearance of (or worsening) of symptoms. A humidifier can definitely be beneficial in that regard, as it levels the levels of humidity and makes the air easier to breathe. In addition, a humidifier can loosen any mucus in the throat or chest, which can make existing asthma symptoms worse. Unfortunately, it’s not just as easy as buying a humidifier to make things better. There are several other things to take into account, and one of those is achieving the right level of humidity. 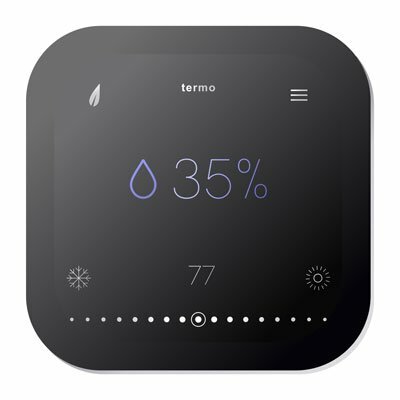 Ideally, the humidity level in your home should be between thirty and fifty percent. Too little humidity and you’ll notice that you start having dry skin, eyes, nose, and throat. However, too much humidity will result in condensation on the windows and walls, a general atmosphere of stuffiness, and the perfect breeding ground for mold, bacteria, and mites – all of which can prove seriously detrimental to anybody with asthma. 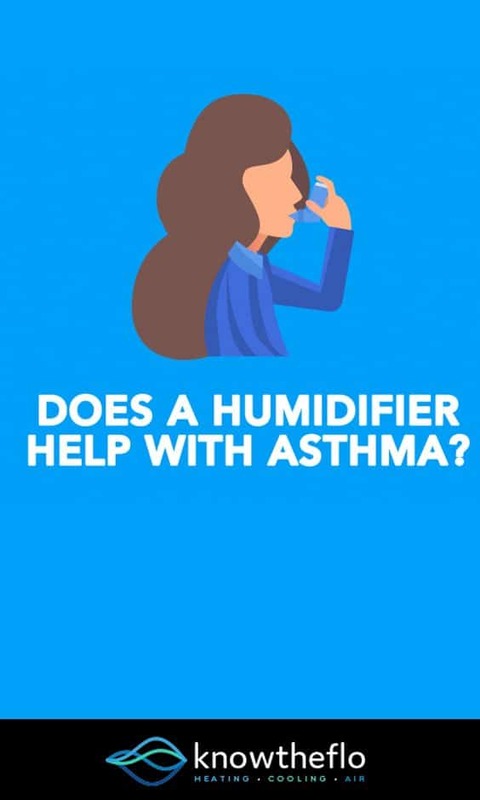 In order for a humidifier to actually help with asthma, you need to make sure that you’re not over- or under-humidifying. While humidifiers can definitely be helpful to asthma sufferers, it needs to be stated that they can also be very detrimental if they’re not used properly or cleaned regularly. The type of water you use in the humidifier can actually lead to the dispersion of harmful microorganisms into the air you breathe. As a study conducted by the US National Center for Biotechnology Information proves, distilled or demineralized water is the best choice for use as it limits the amount of undesirable material being dispensed into the air. Neglecting to clean the humidifier on a regular basis will likely lead to the proliferation of germs, which are then dispensed into the air via steam. To get the most use out of a humidifier, make a point to clean it at least once a week. You don’t need to run out and buy a specific type of cleaner for this – chemical disinfectants can actually leave behind a residue that’s harmful to breath in once they’re aerosolized by the humidifier, reports Markham Heid of TIME. Instead, just use simple dish soap and warm water. Be thorough in your cleaning in order to ensure that any mold and bacteria that has been growing in the humidifier is removed. What Type of Humidifier Works Best For Asthma? If you’re looking to buy a humidifier to help with asthma symptoms, you’ll need to know what type will work best. Warm mist or steam humidifiers – Also known as “vaporizers,” these are the humidifiers most recommended when it comes to asthma. Because the water inside reaches a boiling temperature, most microorganisms are eliminated in the process. However, it’s still advised that you regularly clean the humidifier regardless. Cool mist humidifier – This type of humidifier uses a motor to agitate the water, which creates a mist that is then dispersed through the room via a fan or natural air currents. Because the water isn’t heated, there’s a greater chance for bacteria and mold spores to enter the air. Subsequently, this type of humidifier requires more frequent cleaning. The answer to this question is yes, they can be – as long as steps are taken to ensure they’re used properly, filled with the right kind of water, and cleaned regularly. As long as those potential issues are addressed, a humidifier can lessen the severity of asthma symptoms and make breathing much easier for everybody. 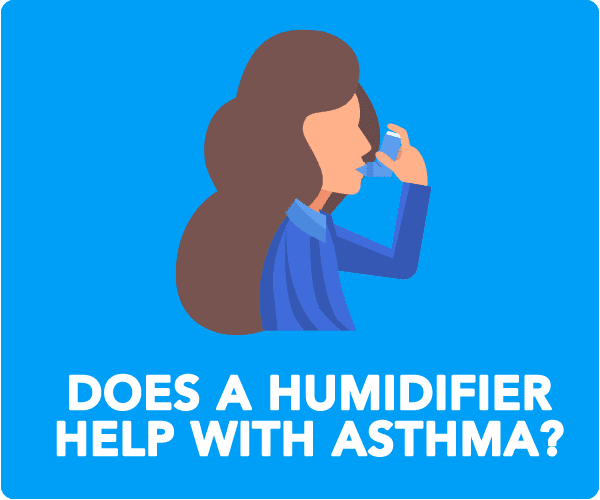 An article detailing whether humidifiers are good or bad for Asthma and how important maintaining your humidifier is if you choose to use one.